this includes designing and installing drip irrigation systems for clients interested in saving water through this irrigation method. By Biolytix Southern Africa based in Lynedoch, SOUTH AFRICA. Our team assembles systems for irrigation, water supply and installation of submersible pumps. By Tehnoplast Inzenering based in Gevgelija, MACEDONIA. Access provide various water conditioning systems to alter iron levels, pH levels and NPK levels in water supplies used for irrigation. By Glen Farrow UK Ltd based in Lincolnshire, UNITED KINGDOM. By BWI Grower Technical Sales based in New Summerfield, TEXAS (USA). By IRZ Consulting LLC based in Hermiston, OREGON (USA). AQUAFIT is registered with the US EPA for use as a disinfestant and algeacide in crop irrigation systems. AQUAFIT is Organic Approved under the USDA National Organic Program and the Safe Drinking Water Act. 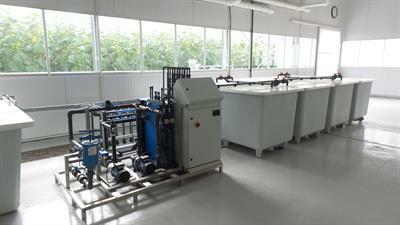 AQUAFIT keeps drip systems clean and free flowing. By Environmental Compliance Resources, LLC. based in Cheyenne, WYOMING (USA). In addition to converting your manure, agricultural wastes and other organics to energy, our biomass energy systems often provide new options for nutrient management. Phase 3 Renewables will work with you to look at different equipment and processes that could save you money and potentially provide new sources of income. By Phase 3 Renewables based in Cincinnati, OHIO (USA). 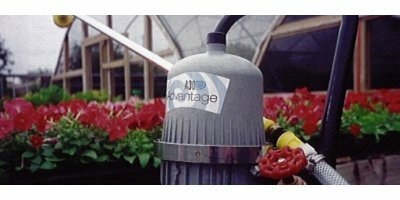 By Eco Irrigation based in Raleigh, NORTH CAROLINA (USA). Green roof systems provide many benefits, but with their exposed position and shallow root zones, it is vital that they are well irrigated. 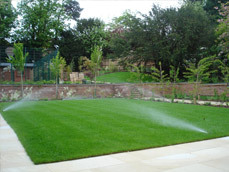 Access have been supplying green roof irrigation solutions for over 20 years, and have considerable expertise in the design and supply of extensive green roof watering systems.